Breault Law & Mediation PLLC is located in Southern New Hampshire. Family Law - I offer legal advice and mediation services in all areas of family law including divorce, parenting time (custody), child support, alimony, adoption, grandparents rights, termination of parental rights and domestic violence protective orders. Estate Planning - I handle all matters of estate planning from drafting Trusts, Wills, Powers of Attorney, and Health Care Directives to assisting with the administration of a loved one's estate after their passing. 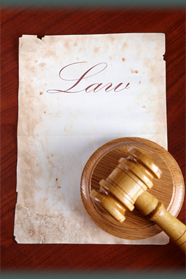 Other Areas of Practice - I have experience with criminal law, corporate law, real estate, and bankruptcy. Please give me a call to see how I may help you with your legal issue. If I cannot provide legal advice, I will gladly refer you to another highly experienced attorney in New Hampshire.